Following on from the healthy success that the Yakuza series has enjoyed in the western markets of late, the development team behind the series is on a high. 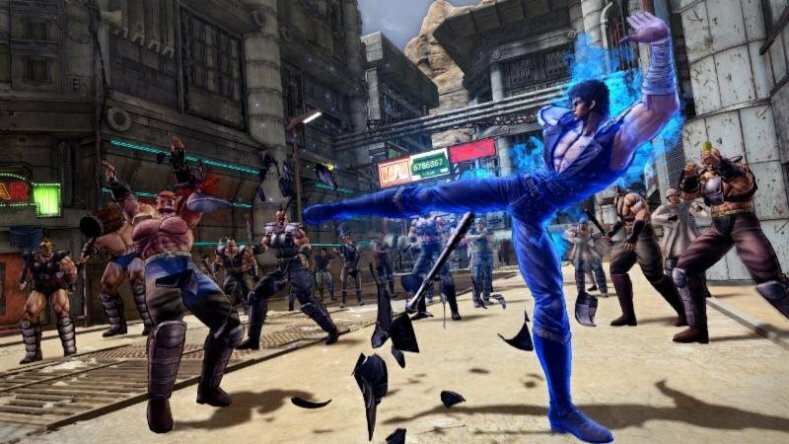 And that's why the upcoming Fist of the North Star: Lost Paradise title by SEGA is so exciting; it might be an incredibly old anime property, but it's also firmly in the hands of one of the most respected Japanese developers going around. You can actually download a demo of the Fist of the North Star game now to get a taste for it ahead of its full release. As you wait for it to download, here's an in-depth interview with the director of the game, Jun Orihara, and general producer, Daisuke Sato, on what the team is looking to achieve with the game, and the reason why, after so many years, Fist of the North Star continues to resonate so strongly. Matt Sainsbury (MS): Fist of the North Star is a hugely respected IP with a long history behind it. What aspects of it do you feel remain exciting and appealing to a modern audience? Jun Orihara (JO): Well, first and foremost, it would have to be the martial artists of the iconic styles like Hokuto Shinken and Nanto Seiken, known for defeating their foes in bombastic, over-the-top ways. Seeing these stylized, ultra-powerful characters clash in a post-apocalyptic world setting creates a fusion of fantasy and science fiction. On top of this, Tetsuo Hara’s vivid and powerful art style further cements the identity of this world, all creating the one and only “Fist of the North Star” series that we know. I believe these reasons have all ensured that the series has stayed in our hearts for so long. However, I believe that there is an even greater factor that makes Fist of the North Star so beloved, and that is the timeless theme it holds. That theme is “how a person lives and dies”. This is of course portrayed by the main character Kenshiro as he continues on his path to become the world’s “savior”, but you will also see many episodes in which other characters strive towards their own goals within the post-apocalyptic world, culminating in an epic battle at the end in which they may meet their demise. Among those that fall during the story, even the most ruthless and cruel of them may show a side that allows a reader to sympathize with them. It’s not about the main character, but the side characters too—even one of the nameless goons can become the reader’s “favorite” because this theme is present throughout all of Fist of the North Star. That is why people enjoy this series to this day. MS: When we think of the Fist of the North Star property, we tend to see it as something very visceral and extreme in its violence, but it also has its moments of dark humor, with a very vintage feel overall. How have you looked to balance these themes out in this game? JO: Judging from your question, I imagine you mean those scenes where Kenshiro has a small back-and-forth exchange with a villain, and in the end, he either kills them himself or orchestrates a situation that causes their death. We felt this was an important aspect of Fist of the North Star, too. We referred to it as “messing with the goons”. 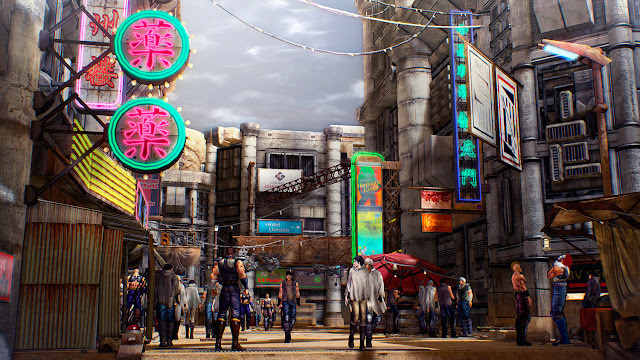 We’ve recreated scenes like this in the main story, but the parts where it shines most would be the mini games like Death Batting, Kenshiro Clinic, and the Nightclub. The reason why we decided to incorporate it into the mini games was because we believed it was our best way to recreate the humor of the original series. The moments of dark humor can’t really be consistently recreated through normal battle sequences, and we believed they’d have more impact if we had the players control these scenes, rather than just having them watch a movie sequence. MS: Supposedly some portion of Fist of the North Star IP was inspired by Mad Max films. Now there’s been a Mad Max game released in recent years – do you think people will draw comparisons between that game and yours? Has it been a concern of yours? JO: Yes, we did expect people to draw comparisons. In fact, we hope that many players do. We want players to take up the controller and play our game to experience our game. I’m sure they’ll find similarities, but at the same time, they will see many differences between Mad Max and this game. I’m a fan of Mad Max myself, but I would also like players to experience Fist of the North Star in a way that allows them to enjoy both worlds. 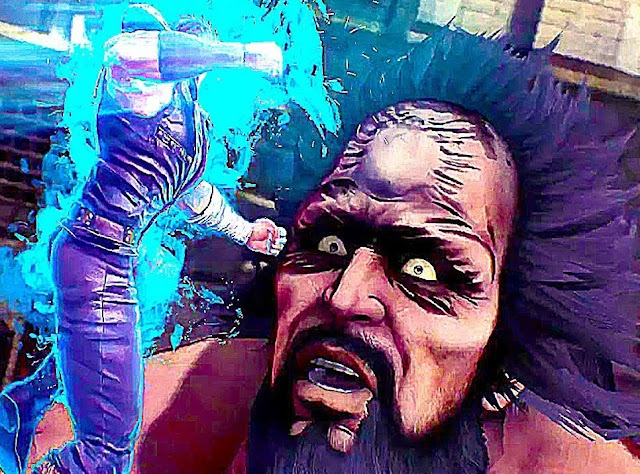 MS: Fist of the North Star is obviously known for its combat, but your studio is perhaps best known for creating amazingly vivid stories around the combat. How are you looking to give depth to the characters of this world? JO: Fist of the North Star, in its most basic form, is a road movie. Its story is about the journey. However, this game is an alternate storyline, featuring the city of Eden at its focal point rather than constantly being on the move. In other words, the characters from the original will find themselves in completely different situations and encounter one another in different ways. Despite these differences, the core of the characters has to remain the same, and we made sure to pay close attention to what these characters say and do in this new environment. Of course, we have plenty of the exciting twists and turns that RGG Studio is known for... but I think we were able to show new sides of these legacy characters and deepen the feeling of immersion. MS: Working with an established franchise like Fist of the North Star, did you as a game developer have much freedom to add your own stories, characters, or ideas? Or was the general mandate to stick to the existing material? Daisuke Sato (DS): When talks of the collaboration were first brought up, we stated up front that we wished to create our original story, and our request was accepted. Throughout the process, our content was rigorously checked by NSP (North Star Pictures). We weren’t just aiming to present a fresh story—we strived to show a side of Kenshiro that had never been seen before in any other title in the series. Of course, there were ideas that were denied, but all in all NSP was very cooperative in the process. Whenever an idea was turned down, they were quick to help us come up with others. To us, they weren’t just the rights holders—in a sense, I think we all developed this game together. MS: Are there any key themes of the game’s story that you want to emphasize for the players? DS: Like I mentioned, our intent when creating this game was to show a side of Kenshiro that’s never been seen before. I believe we were successful in doing this through many parts outside the game’s main story, and I think that’s the real charm of what we make here at RGS Studio. I hope everyone gets to see it for themselves. JO: This idea actually came from Mr. Toshihiro Nagoshi, the executive director on the project. We were already creating Deathcries that would pop up when an enemy is killed, just for the sake of recreating the aesthetic of the manga. When Mr. Nagoshi came by to check on the progress, he commented on how he’d like to use the words themselves as weapons. We tried implementing it, and as it turns out, it was more than just visually interesting—we’re confident in saying it added even more depth to the gameplay. As a side note, using them as weapons is a completely new concept for Fist of the North Star, so we were concerned that it might be denied by the license holder North Stars Pictures, Inc. After suggesting the concept to them, though, they were fully supportive—in part because this is a collaboration project with “Yakuza” elements, but much more importantly, because they thought it was a really fun idea. They were completely on board. MS: Other efforts to update Fist of the North Star for a modern audience have struggled to stand out. With that in mind, was there any pressure to stick to less risky ideas, and use more reliable concepts? JO: Our vision for the game has never wavered from the very beginning. We believed that Yakuza’s systems were very compatible with First of the North Star, and we started this project confident that we could make something completely new. We knew that the combat system was a perfect match to recreate Hokuto Shinken, and no other title has represented Fist of the North Star by exploring a vast, open world with many side stories scattered along the way. The development team wasn’t alone in believing this, either. PR, marketing, sales, all of our departments agreed that we could make a great game—one that would truly immerse the player in the world of Fist of the North Star. The biggest pressure I felt was that we would be creating our own original story. I’m also a huge fan of Fist of the North Star. I guess you could say it’s like my personal bible. To add a page into this bible was a very daunting prospect to me, and I felt a lot of internal conflict during this project. However, I think I was able to overcome it, since I ultimately decided that with this game, I may be able to provide newcomers to Fist of the North Star a brand-new experience—and give longtime fans something a little different. Also, for those players who’ve never read the original work, I highly recommend reading the manga after playing the game. You might get a new enjoyment out of playing once you’re aware of the similarities and differences in each story. DS: It’s a pretty old franchise, but personally I would like to work on Buichi Terasawa’s “Cobra”. I think the mature atmosphere of Cobra would be a great fit with the style of RGG Studios. Another franchise I’d like to make into a game would be “Cowboy Bebop”. A Yakuza game with science fiction stylings would be a really interesting concept. MS: Finally, have you got any game recommendations of things that you’re playing yourself at the moment that you’d like to share? DS: The game won’t be out yet at the time I’m answering this question, but I’d say Marvel’s Spider-Man on PS4. I got to play a demo of it during E3, and being able to swing around the open world of the city was really fun. I’m definitely looking forward to it, since the game already feels like a blast based on the action scenes alone. JO: I’ve been playing a lot of games lately... but I’d say it’s God or War for me. The fusion between gameplay and action is so well executed. It was also really exciting to see how the Norse myths are represented in the game. I was constantly on the edge of my seat.